As a prelude to its annual 31 Days of Oscar, Turner Classic Movies (TCM) will dedicate the night of Monday, Jan. 31, to celebrating four film luminaries honored at the Academy of Motion Picture Arts and Sciences Governors Awards. TCM will present acclaimed work of three Honorary Award recipients: actor Eli Wallach, filmmakers Jean-Luc Godard, and film-history chronicler Kevin Brownlow. The night will also include an early film by Irving G. Thalberg Memorial Award recipient Francis Ford Coppola. TCM's celebration of the 2010 Governors Award recipients will lead into the network's popular 31 Days of Oscar programming festival, which runs from Feb. 1 through March 3. The 2011 edition of the month-long event will feature more than 340 Academy Award-nominated and winning movies, scheduled in trivia-inspired marathons. In addition, each night will feature a Best Picture Oscar winner at 10 p.m. (ET). The second annual Governors Awards were handed out at a gala ceremony in November. Thalberg Award winner Coppola was honored, "For a consistently high quality of motion picture production." Wallach received an Honorary Award, "For a lifetime's worth of indelible screen characters." The Academy bestowed an Honorary Award on Godard, "For passion. For confrontation. For a new kind of cinema." And Brownlow received an Honorary Award, "For the wise and devoted chronicling of the cinematic parade." The Academy Awards for outstanding film achievements of 2010 will be presented on Sunday, Feb. 27, 2011, at the Kodak Theatre at Hollywood & Highland Center and televised live by the ABC Television Network. The Oscar presentation also will be broadcast live in more than 200 countries worldwide. The following is the complete schedule for TCM's Jan. 31 tribute to the 2010 Governors Awards honorees (all times Eastern). Quotations are from the Academy's award citations. 8 p.m. Breathless (1960) - This seminal French New Wave drama by Jean-Luc Godard stars Jean-Paul Belmondo as a hood on the lam with a young American woman, played by Jean Seberg. Adapted by Godard from a story by Francois Truffaut, this groundbreaking character study offers candid looks at Parisian life and a romantic anti-hero. Often imitated, but never duplicated, this film had a tremendous impact by opening the door to a looser form of storytelling. TCM will present the recently restored print of Breathless, which had its North American premiere last year at the first-ever TCM Classic Film Festival in Hollywood. 10 p.m. Baby Doll (1956) - Elia Kazan's powerful drama stars Carroll Baker as a child bride whose life is made miserable by her incompetent husband (Karl Malden) and a seedy business rival (Eli Wallach). Written by Tennessee Williams, this gritty film was shot on location in Mississippi. It was originally condemned by the Legion of Decency and withdrawn from release in much of the country. Baby Doll marked the debut of Wallach and Rip Torn. Wallach's performance earned him a BAFTA Film Award for Most Promising Newcomer. Midnight The Rain People(1969) - This early film from Francis Ford Coppola stars Shirley Knight as a pregnant housewife who simply cannot handle married life anymore. After leaving her husband (Robert Duvall), she picks up an attractive football player (James Caan), who suffers from slight brain damage. This story, years ahead of its time, provides an outstanding showcase for its three leads. Filmmaker George Lucas served as an aide on The Rain People and made a short documentary about the film's production. 2 a.m. The Tramp and the Dictator (2002) - Kevin Brownlow and Michal Kloft crafted this look at the making of Charlie Chaplin's 1940 comic attack on Adolf Hitler, The Dictator. Narrated by Kenneth Branagh, the documentary examines Chaplin's drive to speak out against the rise of the Third Reich. 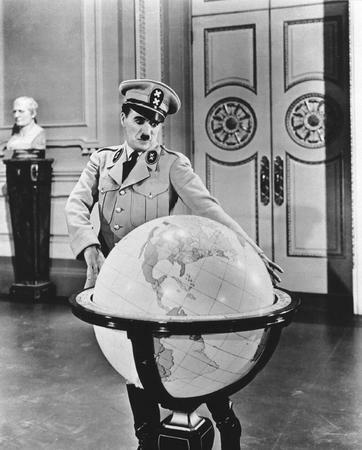 It also parallels the lives of both Chaplin and Hitler, who were born only days apart. 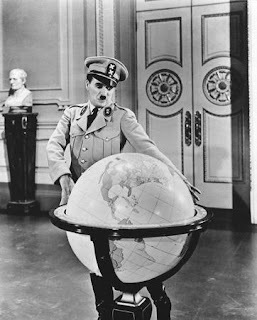 The Tramp and the Dictator will be followed by a presentation of Chaplin's The Dictator at 3 a.m.